BAMS (Bachelor of Ayurvedic Medicine and Surgery) is the opening degree in Ayurvedic medicine and surgery system, treating the humanity since long past. 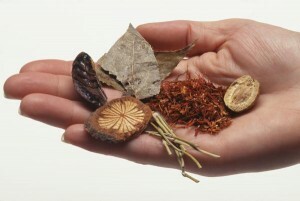 Day by day, the scope of Ayurvedic is overlapping to the other medical system not only in India but also in the world. In many cases the people have taken the experience for the trustfulness of the Ayurvedic system and medicines treating for the chronic and non-healable disease. For any queries regarding Career in BAMS, you may leave your comments below. In a my view,both BHMS &BAMS cources are good but BAMS us very ancient and good. I am a student of BaMS 2nd year..N I was not interested in this line….I didn’t understand anything about it..
Now what should I Do.????? PLz sir tell me any thing for my better future..I am really depressed about it..
She can do but would have to follow entire rules of admission as no privilege will be given to her as an ANM. How to take admission in bams..
Is there any entrance exam?? you are not eligible for doctor, you can pursue engg. I have science stream in 12th class but not biology as a subject. Now i am pursuing B.Sc. (H.) chemistry from DU. This degree has biology as a subject. Can i do BAMS after bsc. degree? I AN PASS BAMS , NOW CAN I GET ADMISSION TO MD OR MS ANY BRANCH IN ALOPATHY ? No, You can get only in Ayurveda field. I got 320 marks in paet.my category rank is14 ( 183 ) and paet rank is 1127.i got 91.7 % marks in + 2.can I get govt or management seat for bams admission in punjab. I m Indian soldier I want become a doctor.Give guideline how can I do it. I Want to be a good BAMS doctor. Ultimately this is the only one and old treatment from the Vedic to till date to cure from the illness as well helps to prevent reoccurrence. I have fully belief in Ayurveda. I got 162 in MHCET 2016,my 12th % is 84.92,PCB score is 239 and I’m belongs to SBC……am I eligible for govt. seat of BAMS in mumbai…?? I got 162 marks in MHCET 2016,my 12th % is 84.92,my PCB marks r 239 and am belongs to SBC…can I get seat for BAMS in mumbai….??? bams or bhams is btr option having scope these days? BAMS or BHMS is btr to select to become as a doctor..? which provide more scope? completed 12 .. qualified neet2 2016.. want take admission in any medical stream in kerala.. keam rank was 10152.. belongs to obc.. Both are good, you can’t compare both fields of study, as they treatment process and medication is different. BHMS is a trending nowadays because of its no side effects. On the other hand BAMS is a very old and proven field of study. B.Sc agri is very much popular these days as a good course. I hv Scored 79 in MHT-CET & belong to SC category will get admission in bams or bhms clg..? ?I’m hving doubt that bams is in sanskrit means all syllabus r in sanskrit..? ?Does an English medium student who doesn’t know sanskrit will be able to do bams..?? i will be thank full to u as soon as u reply to my doubts and request!!! sanskrit means, you will be taught in that language and your syllabus will be of that also. I’m not getting u sir..! !plz explain me in detail. It depend from university to university, In Delhi university it is taught in Hindi, in Gujarat university it is taught in Gujarati, the terminology of BAMS course is in Sanskrit, so you have to learn all those terms and you can translate that to your local language (Marathi or english) for your better understanding. No, 12th from science stream is necessary for this course. I want admission in BAMS college without entrance Exams…pls tell me good collage fore me. . I got 61.8% in 12th and 55.5% (PCB) is there any chance of direct admission in any good college. I belong to st category student. And if not then can u please suggest some of the state based exam for BAMS course. thank you! No GO for this is marked. give me information about clg’s they are near shimoga or davanagere…..
mysister completes first year bsc.in[PME].now she wants to join BAMS.so pls give me some infrmation about this course….. If I clear any test of mbbs in case of doing BAMS. …..so can I go for doing MBBS..???? Can bams will able to do for a student who get 82 in cet? i m confused aboit medicine is it useful?? Thanku so much. . . I m still confused. Whether to go for BAMS or MBBS my heart says do bams but mind says go for mbbs. Is bams a safe feild……. people say “who goes to an ayurvedic doc. They have no work to do” i hope these people are wrong……. BAMS is good but not as much as compare to MBBS. The MBBS has more opportunity than other medical courses. And last: listen to your brain not heart because heart has no brain. I also want admission in BAMS.. But i want they take less donation or without donation..
Can I take admission after class 12th and which college is Best plz mention some names and will be it’s fees. nice to know new information. Can ayurvedic graduate prefixes title Dr. In front of his name. nice article….made a good impression about BAMS.can you plz tell which are the best colleges in India for BAMS. Cn i take admission in BAMS after BA 1st year?? Every college has different fees for BAMS. Is it a safe stream ???? INTRESTED IN AYURVEDA MEDICINE ‘N NICE TO LEARN MORE ABT IT.